A few months ago, a friend asked me if Thai sticky rice was similar to Japanese-style rice. I didn’t realize that there might be some confusion. I guess if you didn’t grow up eating it, you might not know. Being that my mom’s family is from the Northeastern part of Thailand where sticky rice is very commonplace, we ate a lot of it. But to answer the question, no, Thai sticky rice is not similar to Japanese rice. I know nothing about the nutritional qualities of sticky rice. You can probably find out more about that here, but I’ll tell you what I do know. Comparing Thai with Japanese sticky rice, you'll see the grains are quite different. Thai sticky rice is whiter while the Japanese rice is more opaque. The Japanese version is just a little bit shorter too. Unlike most kinds of rice, Thai sticky rice is not boiled. It’s steamed and truly sticky (which means less clean up after your kids eat!). The grains stick together very well, but when cooked properly, should not stick to your hands. And yes, it’s meant to be shaped into small balls and eaten with your hands. I always chuckle when I go to a Thai restaurant and see people eating sticky rice with a fork. On the flipside, people probably think I have bad manners because I eat it with my hands?? 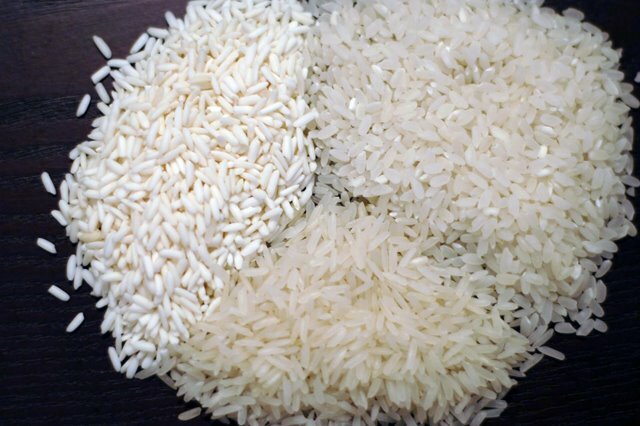 Clockwise from left: Thai sticky rice, Japanese short grain rice, Thai jasmine rice.When buying sticky rice, you'll know you're on the right track if you see the word Thai in the name. It may be called Thai sticky rice, Thai glutinous rice (don’t worry, it doesn’t contain gluten), or Thai sweet rice. If you want to try making Thai sticky rice, you’ll need a steamer. Of course, the best steamer is the kind especially made for steaming sticky rice (see picture below). This setup can be found at any Thai-Viet grocer and shouldn’t cost you more than $10. If you can’t find it, you could use a regular Chinese-style bamboo steamer. You’ll need to line it with cheesecloth so the grains don’t fall through. After soaking the rice, drain it, put it in the steaming basket and set the basket over the pot, which should have about 2 inches of water in it. Put a lid on it (any lid will do, as long as it keeps the steam from escaping). Turn the heat to medium. 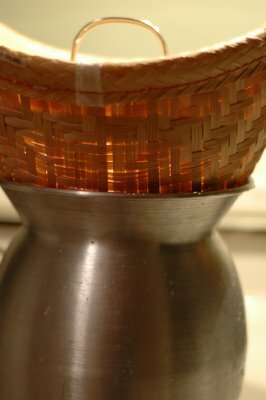 Once the water boils, it shouldn’t take long to steam the rice, maybe 10 to 15 minutes. The rice will turn opaque and lose it whiteness. Halfway through cooking, try “flipping” the rice by removing the lid and taking the steaming basket off the pot then gently shaking the basket up and down until the rice begins to turn. I know this is hard to imagine, but you’ll understand completely once you do this. If you are using a regular bamboo steamer, you may not need to do this because the rice will be more level in the steamer, thus allowing the rice at the top to cook. This steamer is made specifically for steaming sticky rice. To test whether the rice is done, taste it! But be careful because it will be hot. The rice should be tender, but not mushy. Once it's done, take it off the heat and plop it into a bowl and drape it with a kitchen towel. If you want to get the full authentic effect, pick up a sticky rice keeper thing, which can also be found at your Thai-Viet store. I like to line mine with plastic, because I hate cleaning out dried rice from the bottom. Just leave the lid off for a couple of minutes for the steam to escape. After the rice is steamed, it will lose its whiteness. It should be tender but not mushy. What to eat with Thai sticky rice? Even though this rice is very sticky, it will fall apart if it becomes wet. That means it's good for eating with things that are not saucy. I don’t think I’ve ever eaten sticky rice with a stir-fry because it's not good at soaking up sauces and it's just heavy compared to jasmine or basmati rice. You can eat it with soups and curries, but don’t ladle the sauce on top. Eat the curry or soup with a spoon and pop a rice ball in your mouth. My favorite things to eat with sticky rice are red and green curries, Asian-style omelets with a side of naam prik phao, hot and sour soup, satay, laab, som tom, Thai BBQ chicken, Isaan-style sausages (or just about any other sausage for that matter), over-medium eggs with fish sauce, Thai fish cakes or crispy fried salted fish. Feel free to leave any questions in the comments. I’m sure I made it all sound far more complicated than it is. But once you do it once, you’ll see how easy it is. Thanks for the tutorial. I love the rice diagram (I hope you just had them lying around). Sooo, if I see just "glutinous rice", is that already Thai sticky rice? Or should I keep looking? Glutinous rice is quite commonly used here. Are you kidding? At any moment there are at least 4 kinds of rice in my house. I didn't show the basmati because just to keep it simple. Right now I also have wild rice. Glutinous rice refers to the stickiness, but I think many short grain rice are called glutinous because they have a high starch content, making them stickier. Thai sticky rice is very specific to a region. Of course, they do have it in Bangkok and all over Thailand, but where my mom is from, it's the rice of choice. The key to Thai sticky rice is that it's steamed, rather than boiled. If the instructions say to boil, then it's probably not it. Thanks for the crash course!! I have bookmarked this because I just love Thai sticky rice! Hillary, I'm glad to be of help. If you end up making it, please let me know how it turned out. I've always known this as glutinous rice and not Thai sticky rice. I think in Thai eateries, they serve it with mango and drench it with coconut milk. Yums! Tigerfish, I know Chinese use glutinous rice as well, but I didn't know if it was the same. Do you steam it as well, or is it boiled? Coconut sticky rice is one of my favorite desserts! Thanks you for the instructions! Yesterday, my husband used his backhoe to move some dirt for a neighbor's gardeners. This morning, they brought us a basket of steamed sticky rice as a thank you. What a wonderful gift it was. We had never experienced this treat and the gardener could only tell us where he purchased the rice and that it was from Thiland. I quickly went online to dig further and found your, as well as a few other, sites to tell me what to buy and how to prepare. It will be one of my first next purchases and I am eager to share it with all my family and friends! Wish me luck. 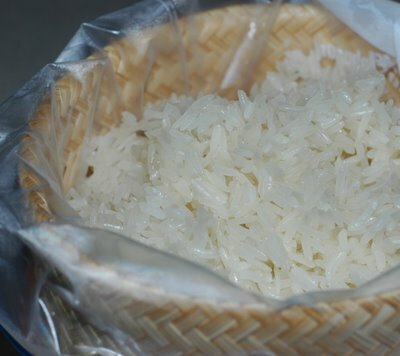 whats the best way to keep sticky rice once its cooked, i like to take some to work with me for lunch, so cook it the night before, but i find it dries out and goes hard, any suggestions? Hi Anonymous! I generally don't keep my cooked sticky rice in the fridge. That helps it from getting too hard. But if you prefer to keep it in the fridge, it will get hard. To warm it up, you can put it on a plate in the microwave and cover with a clean damp kitchen towel (or moist paper towel) and heat at 50% power until warm. If it's a large amount, break it up partway through heating. It should be warm but not scorching hot. Hi dp, thanks for the post. i'm about to venture in cooking some sticky rice this week. can i use jasmine rice? i just bought the pot and basket at uwajimaya this weekend. 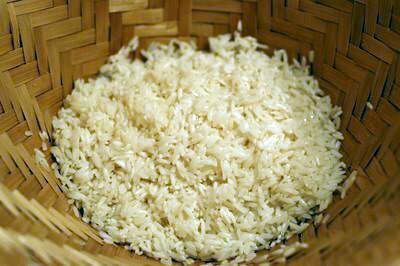 EL, jasmine rice is different from Thai glutinous rice (aka sticky rice). You'll need to purchase that if you want to use the steamer basket. Make sure not to confuse the Thai sticky rice with the Japanese kind. thanks, Darlene, for the clarification. I thought I could get away with using Jasmine rice that I typically have at home. 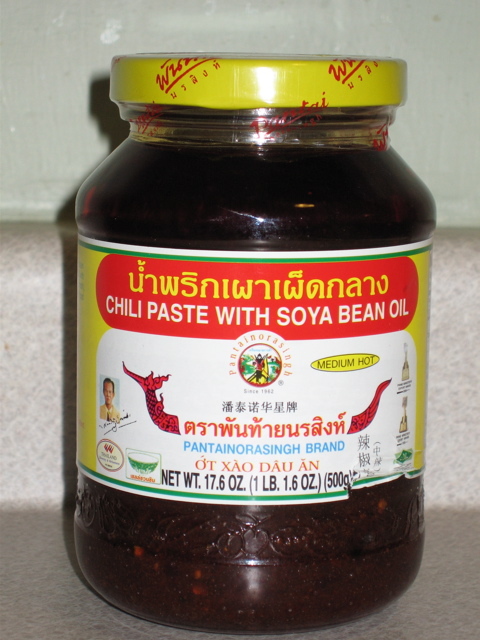 I'll trek out to my local Asian grocery store to get some. I'll let you know how it turns out. Thanks for the tutorial! I once lived in Thailand for a while with sticky rice as my favorite, as finally I had found something to chew/bite! Unfortunately my own experiments don't produce the same results. I got the steaming basket and the pot, however, the rice rather sticks on my hands and not together. As soon as I eat is it totally falls apart in my mouth, so there is nothing to chew anymore. What is the trick to make it more sticky? I had it soaked for almost one day. AndreK, The first thing I would say is make sure the rice is Thai glutinous rice. It is also called Thai Sweet rice. It's easy to confuse with Japanese-style rice, which can also be called sweet or glutinous rice. Generally, if the rice is oversteamed, it will be mushy and very sticky. It will stick to your your hands, but I wouldn't expect it to fall apart in your mouth. This is perplexing. Thai sticky rice will fall apart (not stick together) if you dip it too long in a liquid (like dipping in a bowl of soy sauce) or ladle sauce over it. In these cases you wouldn't be able to eat it with your hands. Another thing that may be confusing is when we say "steam" sticky rice, we really mean it. Unlike other rice types that are cooked in water and absorb that water, Thai sticky rice is steamed in the basket above the level of the liquid. If it's cooked in water, it's likely to have a unpleasant mushy texture. 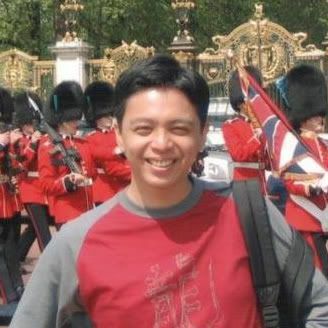 I hope this can help you troubleshoot the problem. Let me know how it goes. Aloha! 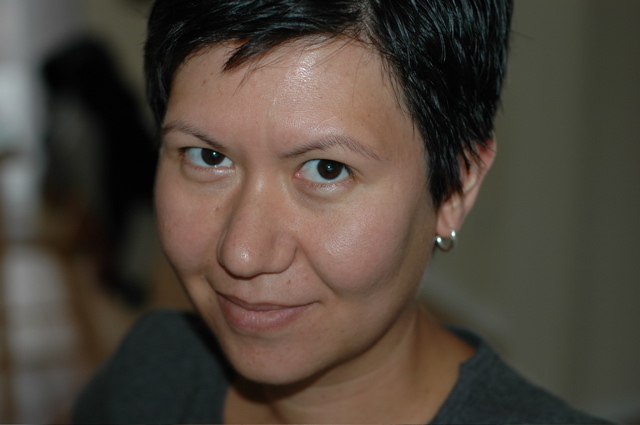 I just found your blog and I love it- I live in Tigard and I cook Thai. Sticky rice is a must-have with Thai Beef Salad (Tiger Cries) and also with Evil Jungle Prince. Yum! Aloha, anonymous! Thank you for stopping by and the kind words. Glad to know there are other people in the PDX area cooking their own Thai food at home. Happy cooking and please do stop by again! hey Thanks! I have made this rice for years and I always get ppl that want to try it too. You have put together a great tutorial!